The concentrations diffusion process was ported to SFML so it could be visualized. There is just open lab tomorrow. I have another assignment from the College all day, so I can't be there. Today we improved the ellipse03.cpp program to get rid of the "magic numbers" and tighten things up a bit: Monday's link has been updated. 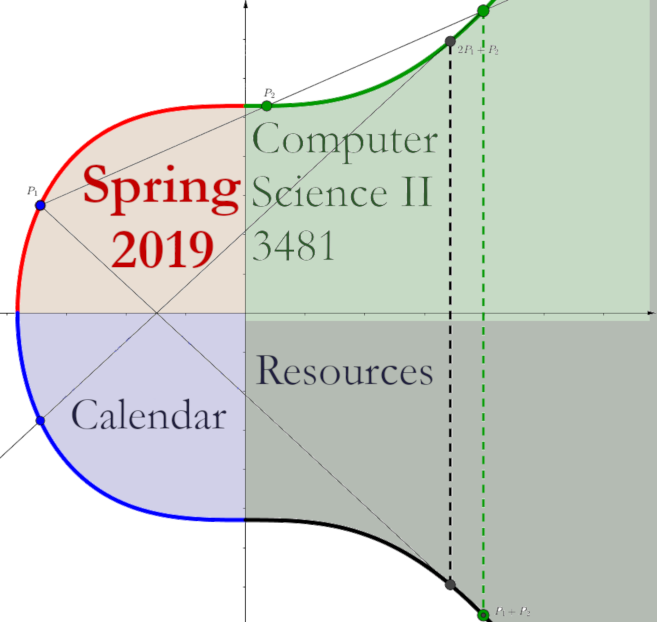 Also, we wrote the billiards program to show how the path of a bouncing ball is traced as it bounces around a rectangle. We've completed Chapter 11 and 12 and 13 (using SFML instead of FLTK) and will start Chapter 14 next Monday. We woodshed on the SF ChemGrid some more, generating random grids and checking if at least the rows were words. Note that in the "concentrations" diffusion problem, grid.h can be as simple as "typedef vector<vector<int> > Grid;"